This page contains Canon iPF6400, 8400 and 9400 initial release info. and any other info we find. The replacements for Canon’s iPF6300 and others. 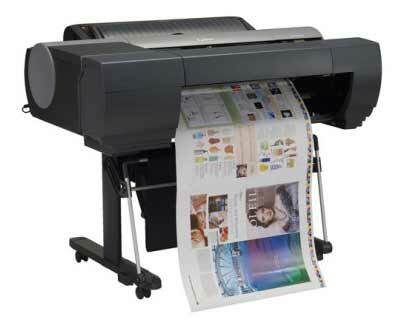 Buying a Canon iPFx400 large format printer in the US? Note that there are often rebates available, reducing the price even further. 31st Setting up the SU-21 spectrophotometer on the iPF6450 Fitting the optional SU 21 spectrophotometer unit on a Canon iPF6450 24″ printer. Note that the SU-21 will not work with the iPF6400, since that printer has no socket to connect to the spectrophotometer. A full review is on its way, but initially we’ve an article covering how to set up the iPF6450 from its packing crate. 5th We’re still waiting for a machine to review, but looking at the 6400 at the Focus show, that spectro really is huge. 26th Full details for the printers are slated for the 12th of September. There is a spectrophotometer option for the 6450. One of the main improvements to the range is a new screening algorithm, which gives a faster print speed and better dot placement. I’ve no idea when other Canon regions will catch up with announcements and I’ve been told that specifications may vary in different regions. 19th New printers are on their way – info will be posted here as we find it. 10th It seems that the 6300/8300 announcement and availability dates were -only- for Japan. How long it’ll be until we hear from other parts of Canon is an open question at the moment. LAKE SUCCESS, N.Y., September 12, 2012 – Canon U.S.A., Inc., a leader in digital imaging and office solutions, today unveiled five imagePROGRAF large-format printers -the iPF9400, iPF9400S, iPF8400, iPF6450 and iPF6400- that deliver superb color quality, color consistency and output speeds. Designed for use by photographers, artisans, proofers and print for pay users, the imagePROGRAF models help complete the lineup of professional imaging products offered by Canon. With a variety of enhancements made to both quality and speed, users will experience increased productivity – while benefitting from the built-in tools which make managing small and large printing fleets convenient and more cost-effective. 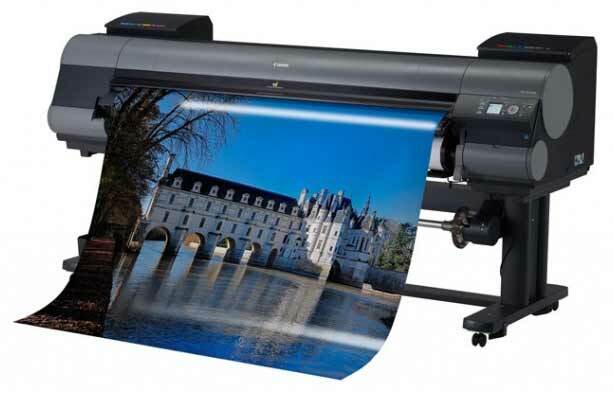 The Canon imagePROGRAF iPF9400 (12-color, 60-inch), iPF8400 (12-color, 44-inch), iPF6450/6400 (12-color, 24-inch) and iPF9400S (8-color, 60-inch) printers offer improved color stability designed for precise, ultra high-quality print performance with increased speed and productivity. All of these models utilize Canon’s LUCIA EX pigment ink set, an enhanced multi-sensor and advanced printing technologies specifically developed to produce prints with an enhanced color range and improved durability. 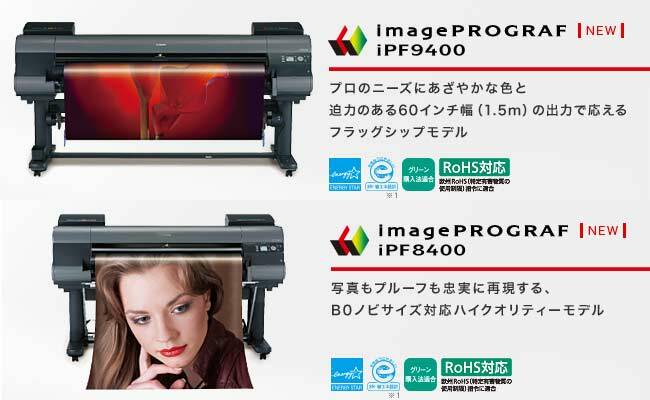 The imagePROGRAF iPF9400S and iPF9400 printers can now handle 60-inch borderless printing and now have a more affordable price when compared to previous models as well. Multi-Sensor: A new, enhanced multi-sensor has been incorporated for improved density accuracy and stability over previous models. The sensor, along with the included software, helps to achieve color consistency across all new imagePROGRAF 12-color models. Color Calibration Management Console: Using the calibration function equipped in the new line of imagePROGRAF devices, it is possible to execute and monitor the calibration status of multiple printers on a network from one PC. Media Configuration Tool: This software allows the user to update and customize the printer and drivers with new Canon and custom media information. 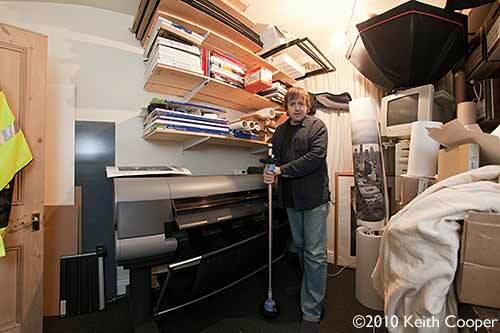 Adding to the versatility of the imagePROGRAF printers is a sub-ink tank system which minimizes waste. The ink cartridges can also be replaced while the printer is running allowing for the print job to continue, which helps to improve the workflow of the end-user. 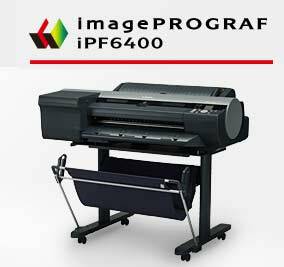 This system is further enhanced for the imagePROGRAF iPF6450 and iPF6400 printers with a new 300ml tank size that will provide increased cost-savings. The 12-color, 24-inch Canon imagePROGRAF iPF6450 printer has the option to add an onboard spectrophotometer for advanced color management including the ability to obtain color consistency across multiple iPFX400 series printers. The SU-21 Spectrophotometer also helps reduce operating costs by automating color management and is highly adaptable to user system environments. The new Canon imagePROGRAF models are scheduled to be available in September through Authorized Canon Dealers and imagePROGRAF Premier Partners and will have a manufacturer’s suggested retail price (MSRP) of $11,995 for the iPF9400, $9,995 for the iPF9400S, $5,995 for the iPF8400 printer, $3,695 for the iPF6450, $2,995 for the iPF6400 and $1,795 for the SU-21 Spectrophotometer.